As readers of this column know, I am no fan of the “new” JC Penney Company. It is my contention that old James Cash Penney (whose first store was right here in Wyoming, in Kemmerer), is spinning in his grave as how his successors have managed to ruin that company. But I loved the old Penney’s and I took a trip down memory lane at that company’s long-time store on Main Street of Sheridan recently. There, smack in the heart of the town, is an old-fashioned Penney Store, complete with a basement, a half upstairs and, well, the only edifices missing were the pneumatic tubes sending sales tickets flying around the store. My first Penney store experience was in Oelwein, Iowa, and it was a scene right out of the movie, A Christmas Story. And that store 60 years ago looked just like the one there in Sheridan today. Here in Lander, when I first came to work at the Journal, one of our biggest advertisers was the JC Penney Store, again, right in the heart of our downtown. And yes, it had a half upstairs and it had a basement. I think tubes were still there which would whistle sales tickets from the various cash registers back to the bookkeeping department. Even by today’s standards, these tubes were space age. Amazing. They provided a way to quickly move information around prior to the age of computers. On this trip, we took two different scenic drives on our way to and from Sheridan. First, we traveled to Greybull so we could take US 16 up Shell Canyon and over the mountain. The weather was beautiful and we even stopped and checked out the Dinosaur tracks outside of Shell. Also, took a photo of the canyons there at the Big Horn Mountains that seem to form a “W” and a “Y” — is that there or was I just imagining it? Near Burgess Junction I ran into Ed Kingston at the Elk View Inn. First met Ed 15 years ago. He has done well and aged better than me. The lodge is beautiful. It and Bear Lodge plus a few other lodges make that area a snowmobile and ATV mecca. We encountered terrible fog descending into Dayton and on our way to Sheridan and settled into a rainy trip. Bob Grammens and Kim Love had me on the radio for a couple of mornings and that was sure fun. Radio appears to be struggling in some communities, but not Sheridan. Lots going on in that area. Don’t touch that dial! Although energy is a big deal in the Sheridan area, you would not notice it by how the Main Street feels. It is certainly lively including a new store started by a 13-year old boy. Amazing. His name is Luke Knudsen and he started a store called The Old General Store, which features antiques. Another neat store is the Best Out West store owned by Christy Love, Kim’s sister. The remodeled Sheridan Inn is a real treat. The old strucure originally built by Buffalo Bill Cody is now a true modern classic. One of the premier craft breweries in the state is the Black Tooth establishment, which exists in an old auto garage. Great beer and a great location. Our trip was designed as loop drive so we headed south to Buffalo and were impressed by how busy the Sports Lure store was there in the main business district. Small towns are lucky to have local-owned stores like it and the Office to cater to local needs. It is hard not to love Buffalo’s Occidental Hotel. What a beautiful job its owners have done to restore it. This is the heart of Longmire country but despite looking for them, none of the characters were to be seen on this day. Longmire is the name of a popular TV series based on books by Craig Johnson of Ucross. While in Buffalo, I also looked for the infamous “Bench Sitters,” made popular by the Sagebrush Sven columns in the Buffalo Bulletin. It was the wrong time of day to see them, too, I guess. Heading home, we headed up into the cloudy Big Horn Mountains over Tensleep Pass. Ran into fog, rain, slush, snow and wind but got through it. Lots of highway construction on the very top. The flag people were dressed like Eskimos. Worland and Thermopolis were both quiet on this wet Friday evening, although it was sure tempting to take a dip into a hot thermal pool on a cold, wet shivery night. But we kept on going. Got home just as the sun was going down, which was our goal. Hate that driving at night in a storm. What a great loop drive it was, though. The passes were full of amazing color. I am sure the rain and snow pretty much wiped out most of those pretty leaves, which impressed us at the time. This all occurred during the fall solstice, which here in Wyoming, truly marks a real change of seasons. A new regional fair to celebrate rural living in the Rocky Mountains is coming to Laramie September 24 and 25. 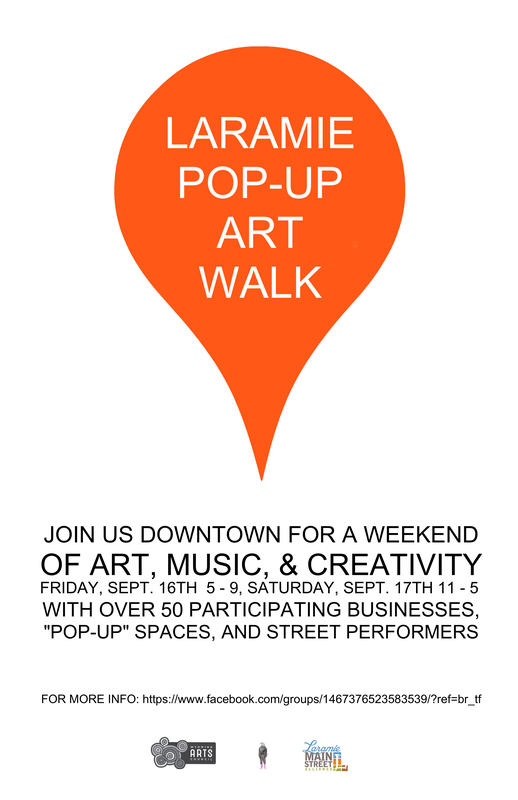 It’s been said there’s no such thing as an original idea, but according to Gayle Woodsum, a long-time community organizer and founder of the fair’s sponsor, Feeding Laramie Valley, mixing great traditional ideas in a new way can result in something better than the original. The Higher Ground Fair is designed to bring together a truly diverse mix of participants and fairgoers as it provides space for valuing the intersection of music, art, food, cultural awareness, traditional family farming and ranching, new agriculture, gardening, health and wellness, social action, animals, the environment and sustainable living, as a means of learning from each other to create a better future for all Rocky Mountain communities in the six states of Colorado, Idaho, Montana, New Mexico, Utah and Wyoming, and the Native First Nations that also call the region home. “This is a challenging time in our world,” says Woodsum, for whom the Higher Ground Fair has long been a dream. “Individuals and communities are inundated by messages of fear and hate, underscored by the growing reality of health, economic and social disparities between people of privilege and people just struggling to survive. Yet, this is also a time of incredible ingenuity and hope coming from people determined to find community solutions to worldwide problems. Organizes of the Higher Ground Fair have spread their reach wide to launch this new event with something for everyone: musical concerts and dance performances; art exhibits and workshops; agricultural displays and demonstrations; a llama and alpaca performance and fleece show; food vendors featuring regionally sourced ingredients; inspiring educational workshops and presentations; companion and wilderness animals; regional arts and crafts vendors; a kids adventure zone; gardening, composting and recycling exhibits — all at one event. All designed to bring people together who typically enjoy such offerings in separate environments. Vendor and display booth spaces are being offered free of charge this debut year for the Higher Ground Fair, with participation applications being accepted for consideration as long as space remains available. A large volunteer corps will be responsible for the fair’s complex infrastructure, with volunteer recruiting incentives including free t-shirts, free fair entry, free lunches and free on-site camping. Fairgoers over the age of 12 will pay a $10 entry fee at the gate, $8 in advance; with tickets for elders 65 and over going for $8 at the gate and $6 in advance. Children 12 and under are free. 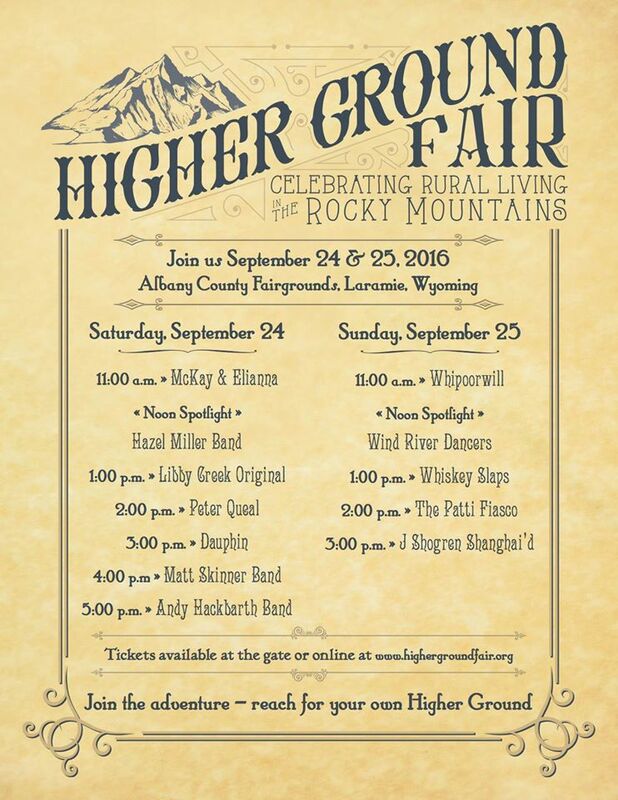 Contact and other fair information can be found at www.highergroundfair.org, by calling 307.223.4399 or emailing info@highergroundfair.org. 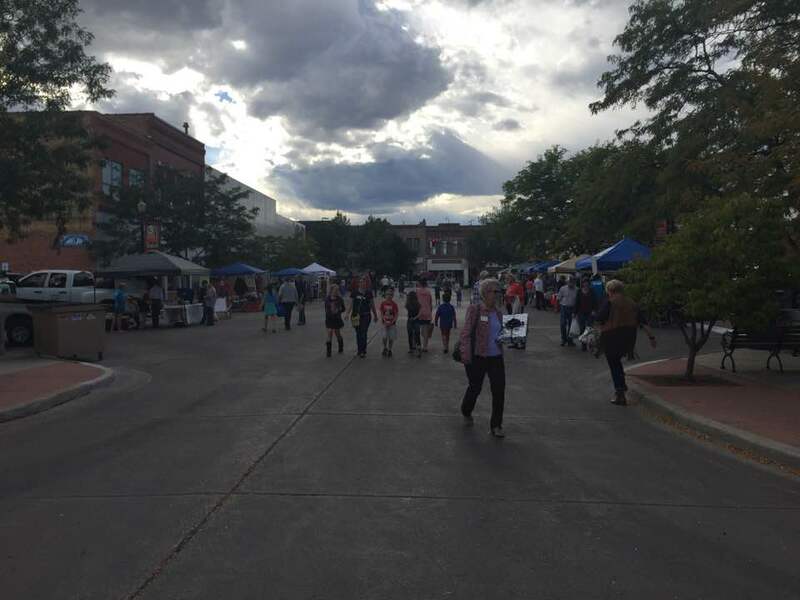 Downtown Sheridan Wraps Up Summer! The days are getting shorter, and I for one look forward to a little slower pace…but, honestly there is still so much going on and so many reasons to visit downtown, I never do seem to get much time to unwind! This week, our final 3rd Thursday will feature the Craft Brothers and the Sheridan High School varsity teams pep rally. 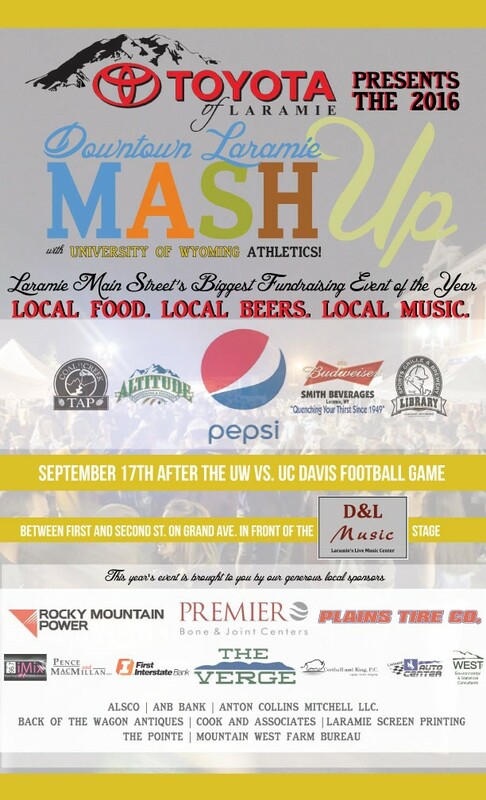 Be sure to stop by the main stage for the first ever “flash mob” to be held on Main Street at 7pm! The following Thursday at the weekly farmers’ market on Grinnell Plaza, CATO Ranch and the Cottonwood Shop are sponsoring the first “Sheridan Amateur Chopped” contest! A lively crew of local foodies will be cooking up some delicious meals comprised mostly of locally raised meats and produce. 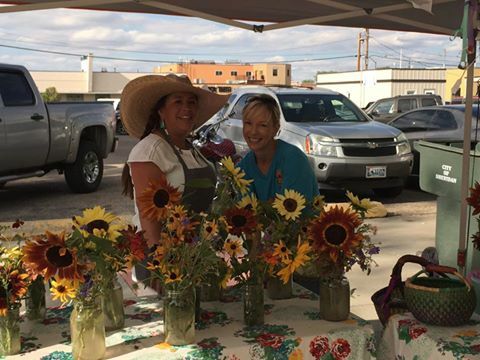 The last Thursday of September, the 29th, the Sheridan Farmers’ Market sponsored by Landon’s Greenhouse, will close out the downtown market season here on Grinnell Plaza. 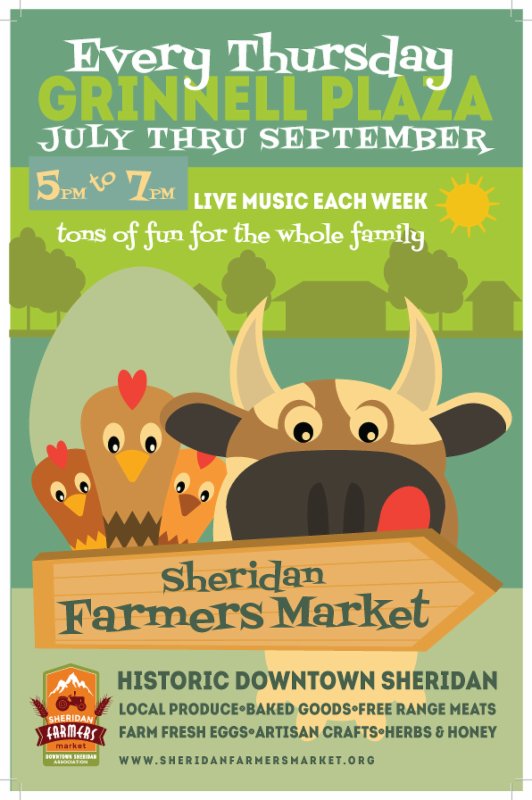 However, Saturday, October 8, the DSA will again cosponsor the Sheridan Local Food Expo/Fall Harvest Market. This year’s event will take place October 5th through October 8th, kicking off with a premier screening of the PBS/Farm to Fork Episode of, “Compost” at the Sheridan Public Library on Wednesday the 5th at 5:30pm. Friday, October 7th is the Farm to Plate Gala Dinner at the Barn in Big Horn. A four course seasonally inspired dinner prepared by Chef Antonia Armenta Miller, of CATO Ranch, will be paired with wines from Jackson Hole Winery. The tickets are $75 each. This fee helps raise funds to benefit the Local Foods Expo group with a portion of the proceeds also benefiting the local youth programs that promote our commitment to support, promote and educate the community on the importance of buying and eating locally. For more information, please contact Bonnie Gregory at 307-752-5712. 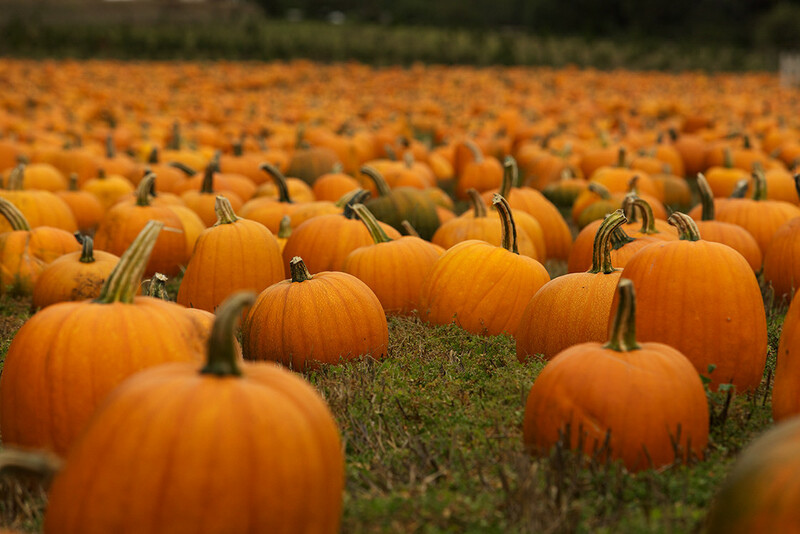 The weekend will wrap up on Saturday with the Farmers’ Market Fall Festival at the Whitney Academic Center on the Sheridan College Campus. 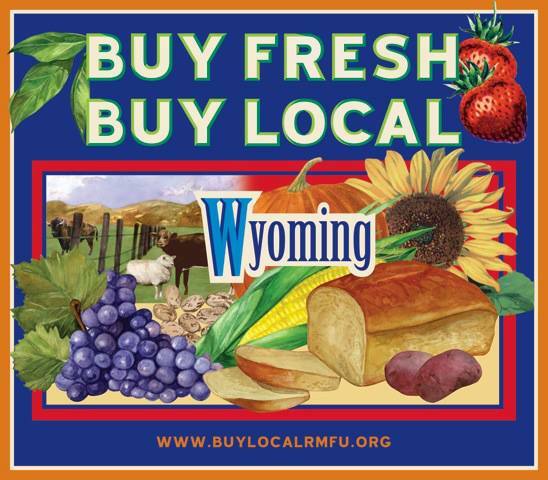 Sponsored by Wyoming Roofing, this market combines the Sheridan & Landon’s Farmers Markets from 9am till 11am with live music by Crooked Mountain and featuring other seasonal events. The morning market will be followed by a discussion panel entitled, “Eating, Growing & Selling” at noon. 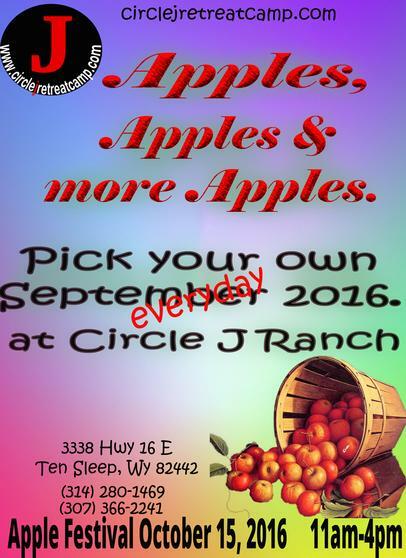 For more information, please contact Donald Legerski at 307-683-7849 or email sheridanlocalfoods@gmail.com. Finally, the Historic District Promotions Committee continues to focus on year-round shop local campaigns that help to increase awareness of what our downtown has to offer as well as create incentives and enthusiasm for local shoppers during the off-holiday season. The October Hunting for Bucks shop local campaign incorporates the ever popular hunting season as well as rewarding locals for shopping downtown by offering “chamber bucks” as a weekly prize for shoppers throughout the month of October. The City of Sheridan has generously agreed to sponsor the campaign again this year. Last year, the first Hunting For Bucks campaign was a huge success with $800 in chamber bucks distributed to 21 lucky shoppers.